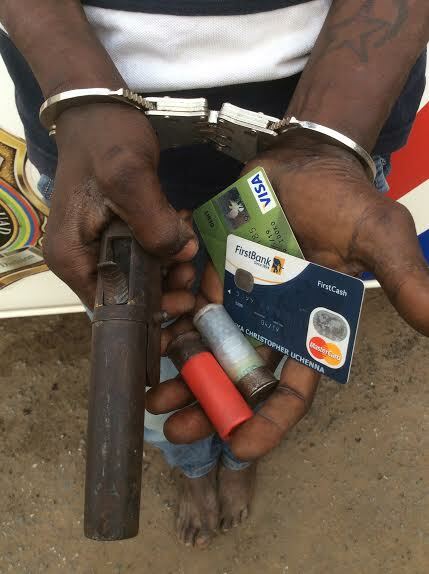 The Police in Kogi have arrested a Youth Corps member, Aka-Jude Tersoo, for breaking into the ATM platform of the Lokoja branch of the Eco Bank Plc. A statement issued on Tuesday in Lokoja by the state police command said that Tersoo was arrested at about 2:30 a.m. while breaking the ATM machine along with another suspect, Godwin Idih. The incident happened on April 26. The statement signed by the state Police Public Relations Officer, ASP William Aya, said items recovered from the suspects include a digger, axe and one iron pipe. Others are: six ATM cards of different banks belonging to individuals. The statement said that police also arrested one Abimaje Yakubu while attempting to collect N8.4 million with a cloned cheque across the counter of one of the commercial banks in Lokoja. Police said that the suspect who hailed from Abocho, Dekina Local Government Area, had approached the bank with the aim of collecting the money from the account of one Mr Victor Edomwande, of FAVA Travels, Ikoyi, Lagos. When contacted, the account owner denied issuing the cheque and the suspect was promptly held by the bank officials and later handed over to the police.